Yesterday, we got a look at the detailed specs of the Samsung Galaxy S8 Active through leaked images of what appeared to be presentation slides. 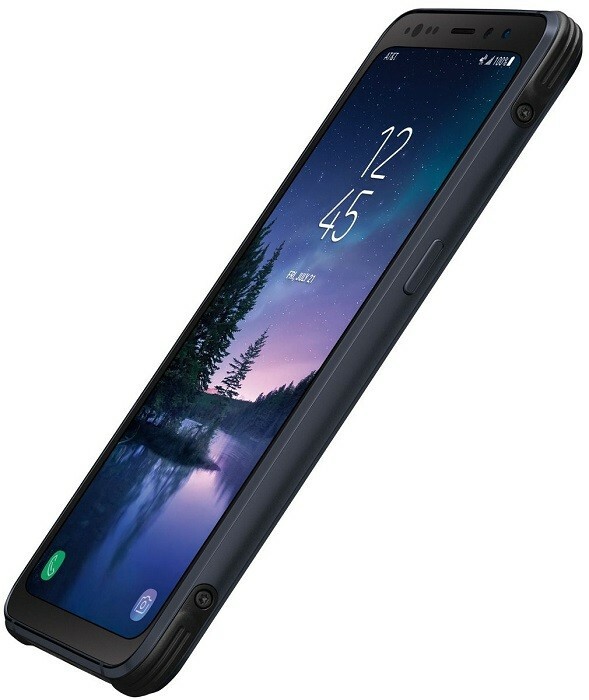 Now, we are having our first look at a high-resolution render of the Galaxy S8 Active that has surfaced online. This render of Galaxy S8 Active was leaked on Twitter by popular leakster Evan Blass. Apart from sharing the render, he didn’t reveal any additional details regarding the phone. Well, we aren’t seeing the Galaxy S8 Active for the first time though, we have already seen it in action in a leaked video earlier this week. However, from this angle, the Galaxy S8 Active looks like LG G6, not to forget those rounded screen corners. Well, as you can see, the design of the Galaxy S8 Active is different than the regular Galaxy S8. The Galaxy S8 Active is more rugged than the S8 and doesn’t come with a curved edge display. Instead, it now has a flat display. Apart from this, the other difference is that it now comes with a 4000 mAh battery instead of 3000 mAh found on the regular variant with the addition of MIL-STD-810G certification. Going by the frequency at which the Galaxy S8 Active has been leaking online, we expect it to be unveiled in the US till mid-August.